Hydroshield(TM) Water Dodger(TM) Is The Winner Of ABC's "The Toy Box" | Mattel Inc.
Hydroshield(TM) Water Dodger(TM) Is The Winner Of ABC's "The Toy Box"
EL SEGUNDO, Calif., Nov. 19, 2017 -- After eight weeks of viewing more than 50 toy inventions, the kid judges have spoken and Hydroshield™ Water Dodger™ is the winner of season two of ABC's "The Toy Box." Hydroshield Water Dodger is now available for purchase online exclusively at Toysrus.com – the nation's leading retailer dedicated to kids (and parents) who know how to play. As the one-stop-shop for products from the show, the retailer will have Hydroshield Water Dodger available at Toys"R"Us® stores nationwide beginning Monday, November 20, just in time for one of the biggest shopping weeks of the year. 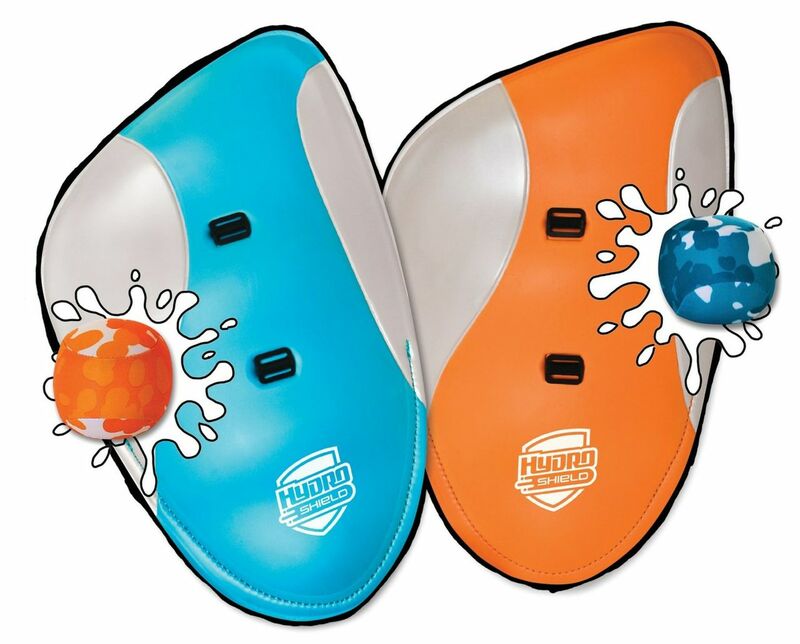 Hydroshield Water Dodger is a one-of-a-kind, all-weather outdoor toy that includes two-shields and two-water balls, called Aqua Ammo™. Players can use the shields any time of year to throw, dodge and block Aqua Ammo or snow balls, while keeping their own arsenal safe inside the storage net on each shield. "Growing up with a single mother and seven siblings we came up with a ton of ways to keep ourselves entertained, and inventing toys and games has always been a passion," said Nathaniel Eaton, Winner of Season two of ABC's 'The Toy Box.' "It's truly a dream come true to see my toy invention on-shelf at Toys"R"Us and hopefully on kids wish lists this holiday season." 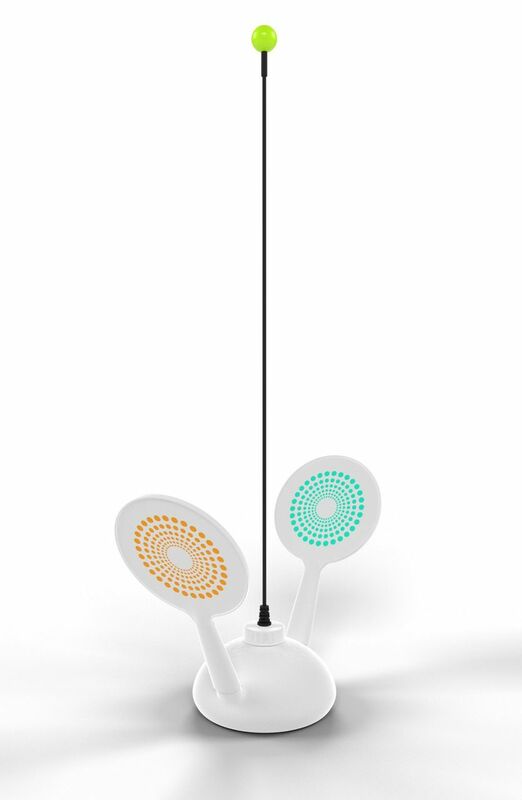 "Our goal is to bring epic play experiences to kids of all ages, and Hydroshield Water Dodger delivers," said Richard Dickson, COO and President, Mattel. "The toy inventors put so much heart and soul into their inventions that we were inspired to release favorites from Eric and Toys"R"Us, Wobb-Ball and Eardorables, following the finale episode." Wobb-Ball, chosen by host Eric, moves in every direction! And not only is the rod flexible, so is the game play. Wobb-Ball allows players to play solo or in teams to achieve high scores, and the base is removable so players can take the game anywhere. Wobb-Ball is available exclusively on Toysrus.com and only at Toys"R"Us® stores beginning Monday, November 20. 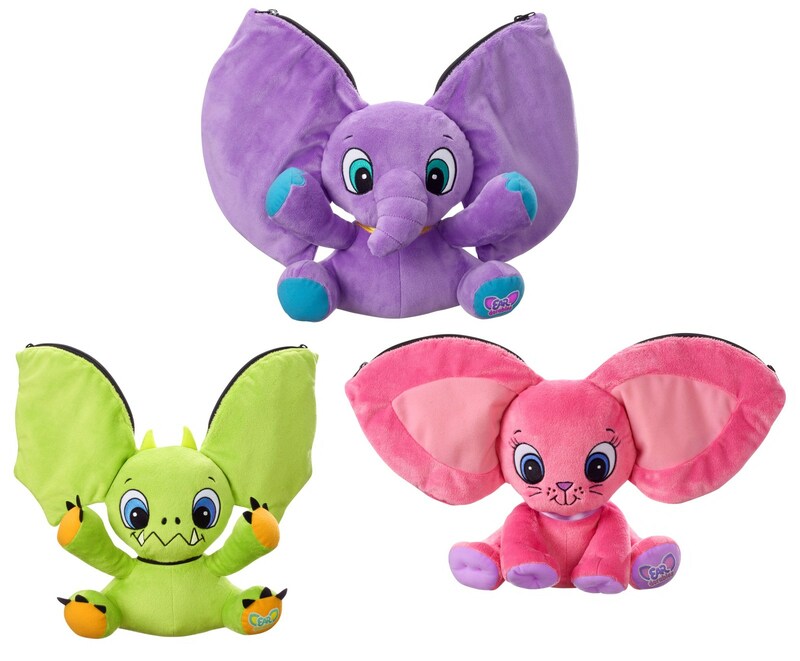 Eardorables, chosen by Toys"R"Us, is a plush animal with a secret! Kids can store their secrets and cool things inside their Eardorables, for super safe keeping. There's also a surprise in every Eardorables. Eardorables is available exclusively on Toysrus.com. ABC, Mattel, Hudsun Media and Electus developed the ultimate toy-competition series, "The Toy Box" to give audiences across the country a sneak peek into the world of toy invention. Over the course of the series, passionate inventors poured their hearts and souls into their toy concepts that they presented to a rotating panel of some of the toughest judges in the industry… kids! This season's judges included Noah Ritter (age 8), Adi Ash (age 10), Paxton Booth (age 7), Sydney Mae Estrella (age 9), Kyle Lee (age 7), Joachim Powell (age 11), Gideon Reynolds (age 6), Emma Sobel (age 9), Madison Stevens (age 8) and Olivia Trujillo (age 12). After deliberating over the finalists, the judges selected Water Dodger, now known as Hydroshield Water Dodger, as the grand prize winner. "We're in the play business 365 days a year and see how playtime is disappearing – less recess, structured activities and no time for free play. We need more people like the inventors highlighted on the show, who aren't afraid to think outside of the box, experiment and create a toy, that will spark imaginative and fun play for the millions who shop with us," said Richard Barry, Executive Vice President and Global Chief Merchandising Officer, Toys"R"Us and Babies"R"Us. "As the champions of play, we are delighted to continue to be the exclusive destination for toy inventions from 'The Toy Box' and are excited to introduce Hydroshield, Wobb-Ball and Eardorables to customers just in time for the holidays." Hyrdoshield Water Dodger, Wobb-Ball and Eardorables are now available online exclusively at www.toysrus.com/toybox. For more information on ABC's "The Toy Box," and the winning toy visit http://abc.go.com/shows/the-toy-box. Toys"R"Us, Inc. is the world's leading dedicated toy and baby products retailer, offering a differentiated shopping experience through its family of brands. Merchandise is sold in 883 Toys"R"Us and Babies"R"Us stores in the United States, Puerto Rico and Guam, and in 795 international stores and 254 licensed stores in 37 countries and jurisdictions. With its strong portfolio of e-commerce sites including Toysrus.com and Babiesrus.com, the company provides shoppers with a broad online selection of distinctive toy and baby products. Toys"R"Us, Inc. is headquartered in Wayne, NJ, and has an annual workforce of approximately 60,000 employees worldwide. The company is committed to serving its communities as a caring and reputable neighbor through programs dedicated to keeping kids safe and helping them in times of need. Since 1992, the Toys"R"Us Children's Fund, a public charity affiliated with Toys"R"Us, Inc., has donated more than $130 million in grants to children's charities. For more information, visit Toysrusinc.com or follow @ToysRUsNews on Twitter. Follow Toys"R"Us and Babies"R"Us on Facebook at Facebook.com/Toysrus and Facebook.com/Babiesrus and on Twitter at Twitter.com/Toysrus and Twitter.com/Babiesrus. ABC Entertainment airs compelling programming across all day parts, with new shows including fall's No. 1 new drama, "The Good Doctor"; as well as "Kevin (Probably) Saves the World" and "The Mayor"; and current hits such as groundbreaking dramas "Designated Survivor," "Quantico," "Scandal" "How to Get Away with Murder," "Grey's Anatomy," "Marvel's Agents of S.H.I.E.L.D." and "Once Upon a Time." The ABC Television Network is also home to the Emmy® Award-winning "Modern Family" and trailblazing comedy favorites "black-ish," "American Housewife," "Fresh Off the Boat," "The Goldbergs," "The Middle" and "Speechless"; hit game shows "$100,000 Pyramid," "Celebrity Family Feud," "Match Game" and "To Tell the Truth"; reality phenomenon "Shark Tank," iconic "The Bachelor" franchise, long-running hits "Dancing with the Stars" and "America's Funniest Home Videos," and the return of "American Idol"; "General Hospital," which has aired for over 50 years on the network, along with daytime talk show "The Chew"; and late-night talk show "Jimmy Kimmel Live." The network also boasts some of television's most prestigious awards shows, including "The Oscars®," "The CMA Awards," "The American Music Awards" and "The Billboard Music Awards." Electus is a full-service production studio that creates, produces and sells a broad range of scripted and unscripted entertainment and branded content to broadcast, cable and digital/OTT platforms around the world. With talent, production and distribution under one roof, the company's series include The Toy Box (ABC), Running Wild with Bear Grylls (NBC), Jane the Virgin (The CW), Flaked (Netflix) and Darkness (Discovery), as well as Hot Date (Pop) produced by Electus' Big Breakfast, and via its prodco Notional, the acclaimed Chopped (Food), Chopped Junior, Chopped All-Stars and Chopped After Dark. Electus' strategic investment deals include Hudsun Media (The Toy Box, House of DVF for E!) and Tim Puntillo's Rio Bravo (Food Fighters for NBC), as well as a majority investment in management and production company Principato Young Entertainment. Electus is an operating business of IAC. For more information, visit www.electus.com.